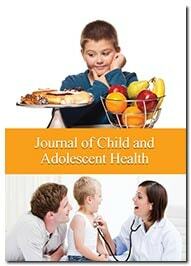 Journal of Child and Adolescent Health is an online open access peer-reviewed journal that encourages scientific innovation and advancement in the broad area of child and adolescent health and aims at improving the dissemination of original scientific knowledge. Journal is interested in publishing all kinds of original work in this multidisciplinary field of child and adolescent health that help in improving the complete health of people in the age range of infants to young adults. The topics of interest include, but are not limited to, the following areas- paediatrics and its sub-specialities, child healthcare policy and practice, neonatal health, child immunisation and immunology, nutrition, early detection of diseases in child and adolescents, mental developments, genetical problems, psychology and mental disorders associated with child and adolescents, social and family life of child and adolescents, youth development, epidemiology, substance abuse, physical disabilities, bullying, infant and young children medication, psychotropic medication and psychotherapy, and other health problems and treatments related to child and adolescents. Journal follows single blind rapid peer review process with comments from at least two reviewers. All published articles are freely accessible to everyone immediately after publication in PDF and full text format.